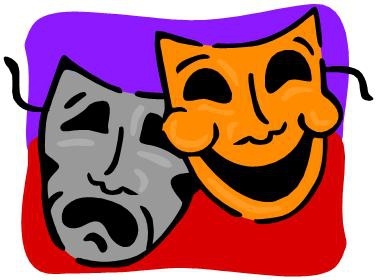 The 2015 elementary school play season is upon us in Canton MA! Leading off are the 5th graders from the John F. Kennedy Elementary School. This year the JFK 5th Graders are performing Runway in Ruins on Friday January 23rd and Saturday January 24th. Every year each elementary school in Canton MA puts on a play and the Kennedy school always leads off the season. This is not a typical kids play where the lines are fed to them and it is done during school. It is performed on the "big stage" at Canton High, with sound, lights and the works. There is a director, who chooses, casts and directs the play. The rest of the production (scheduling, costumes, stage crew, advertising, etc.) is put together solely through volunteer efforts of the parents and school community. The school plays require a lot of work but there is a lot of reward. For some students, this may be the only time they get on stage. For others, this exposure is their first bite of the acting bug and they are opened up of a whole new world. Regardless of whether the students go on to be performers or whether this is a one-time experience, it is an experience they can draw on for the rest of their lives. It involves teamwork in working as part of a cast, homework in memorizing lines and songs, overcoming stage fright and learning to speak in front of a large, live audience. These are skills that can be used and drawn upon forever. It is impressive to see what 10 year olds can pull off when they work together! Runway In Ruins is an original production written by the students in conjunction with author-in-residence Steven Krasner. I haven't been able to find out too many details but based on the flyers I have seen it appears to be a myster/whodunit story. I guess we will have to attend to find out the full story! Writing an original play and then performing it is quite the experience for 5th graders. We are lucky that the Canton Public Schools provide such great opportunities for our students. Performances are Friday and Saturday night at 7:00 p.m. at Canton High's Morse Auditorium. If you are looking for something fun and different to do with your family this cold January weekend, consider taking in one of the two performances of Runway in Ruins put on by Canton's Kennedy School 5th Graders. To learn more about Canton MA and the Canton MA Real Estate Market read the Canton MA Real Estate and Community Guide. Ready to make the move to buy a home in Canton MA? Contact your Canton MA Buyer Broker.